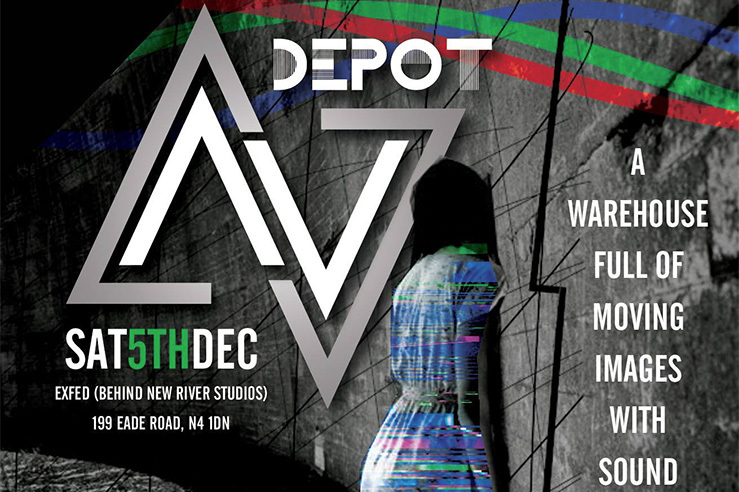 AV Depot – A warehouse full of cutting edge audiovisual performances and interactive art to celebrate the launch of VJ London’s brand new website. VJ Eletroiman (from Brazil, based in Barcelona), develops in his audiovisuals narratives the concepts of Corisco, Macunaíma and Oxossi, characters of Brazilian culture and identity. With this objective, Electroiman works the video with other techniques like photography and drawing. This idea of convergence allows a dialogue between various techniques, composing a hybrid language that is being developed from the beginning of 2003. He performed in festivals across the world and he’s got a high number of victories at VJ contests (VJ Torna, Mapping Festival). He’s also the organiser of the Festival Visual Brasil held in Barcelona. Simon Longo aka Dithernoise, is a sound composer and video artist whose work includes site-specific installations and laptop audiovisual performances. Si Mons work is inspired through electronica, digital and organic aesthetics to create interdisciplinary art with reference to neurosciences, field theories and theories of information, primarily exploring the synergy between sound and images synaesthesia. Creator of the spark d-fuser. “rbn_esc” is a project fusing cinema and live experimental visuals. Presenting a series of character scenarios, it invites the audience to construct narrative and cultural critique: rbn_esc >> urban escape. It is also a vj project of some years, evolving to the final ‘live cinema’ state presented here of a refined, multi-layered 40 minute audio-visual performance. Mauritius Seeger is an interactive programmer and video artist, interested in photography, live video performances, and interactive art. His current work focuses on lighting, projections, displays and art projects that draw on his experience in computer vision and his interest in lens based media. ‘Flow’ is a AV performance by dr.mo (Mauritius Seeger) and inputJunkie(John Heery). It combines atmospheric cinematic scenes of landscapes and urban architecture with a live ambient electronic soundtrack. theatre, music and digital collaboration. He is currently a fellow at BOM. is a four framed sheets of copper wired into two framed effects units with the electronics exposed, wired into a small mixer with electronics exposed and an amplifier. it makes a lot of noise when people touch it and interact with it. the amplifier has two sets of headphones for people to wear when they use it. A multi-skilled computer graphics designer, programmer and animator. Installation project by neon:m3 Neon Emtrzy, Bruce Lane and Olya Levistova made during HackTheVisual London Hackaton.